Been working on this wall for a couple days. I just finished the Fate/Stay Night translated demo. I was so lgad that I could actually understand what they were saying, so I just had to make a wall. Comments, suggestions and favs always appreciated. wow great wall!! love this piece. i like how it's grungy but scenic. great!! just great work!! oh god....that is just too awesome!! I love what you've done. The colors, the effect, the mood. And the scan is so original too! Nicely done! You fool, that's an awesome wallpaper. 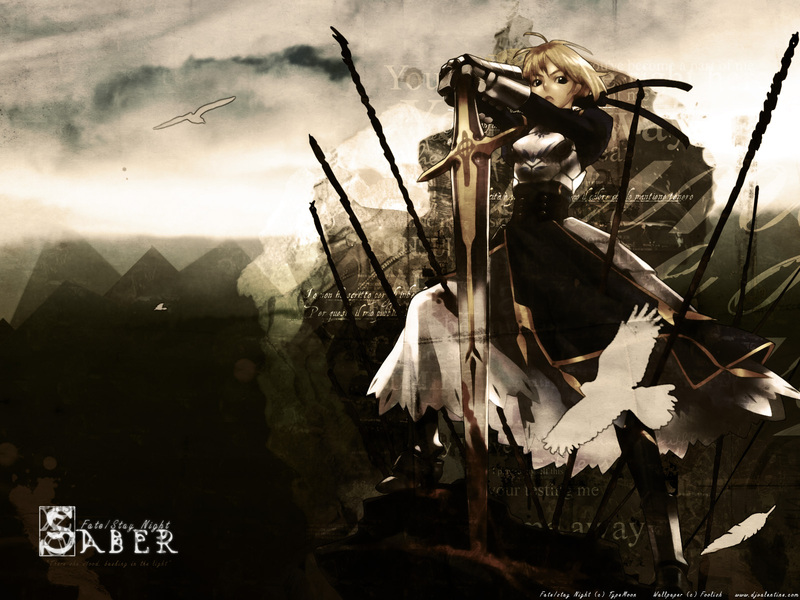 such an awesome wallpaper fooly, i love the grungy style and fate/stay night looks really great (wanna play it too t_t). excellent job! Wow, great work! I would have loved to have done something with this image but it was too scary >_> and I'm glad you made a wall! It's amazing!! Great color schemes, too! awesome job ! You did great !